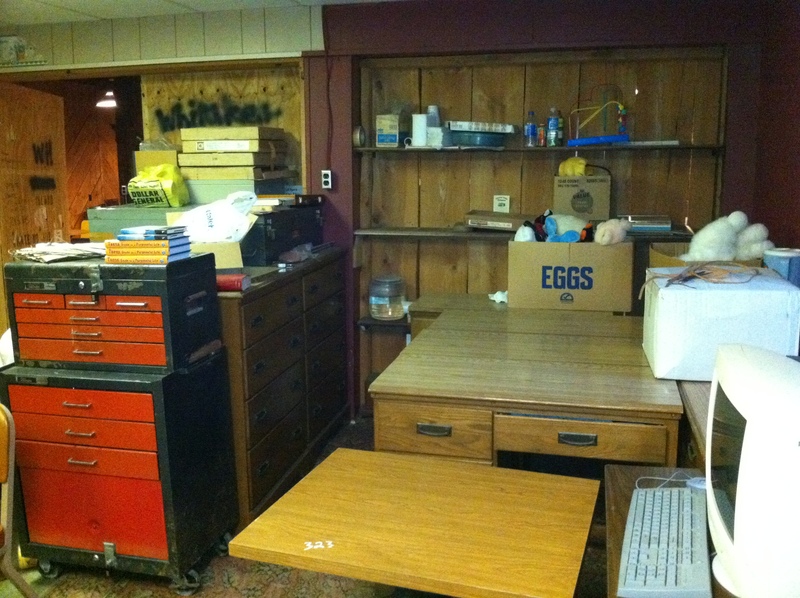 The second floor also had a craft room which housed an interesting assortment of stuff. Nancy had bought a complete leather shop from Clair when she was selling Bridge Antiques. 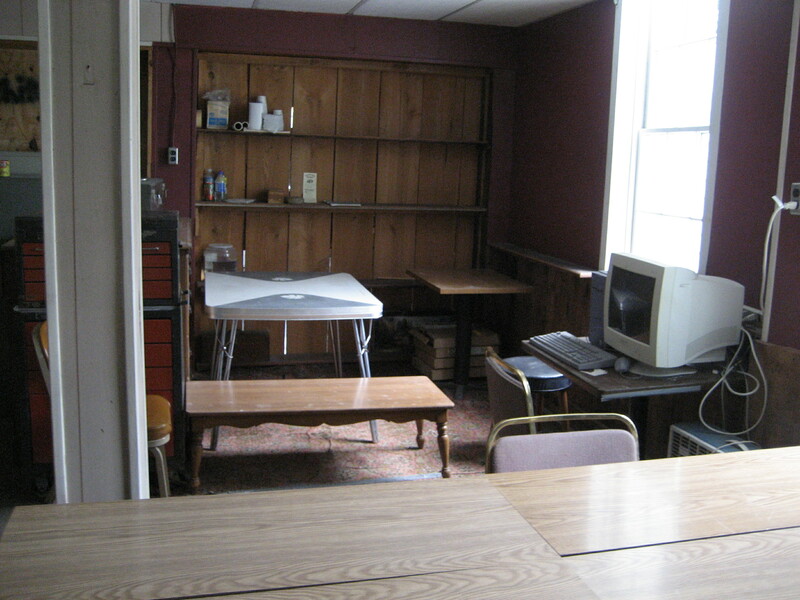 Later she purchased a stain glass studio from a high school that was closing. 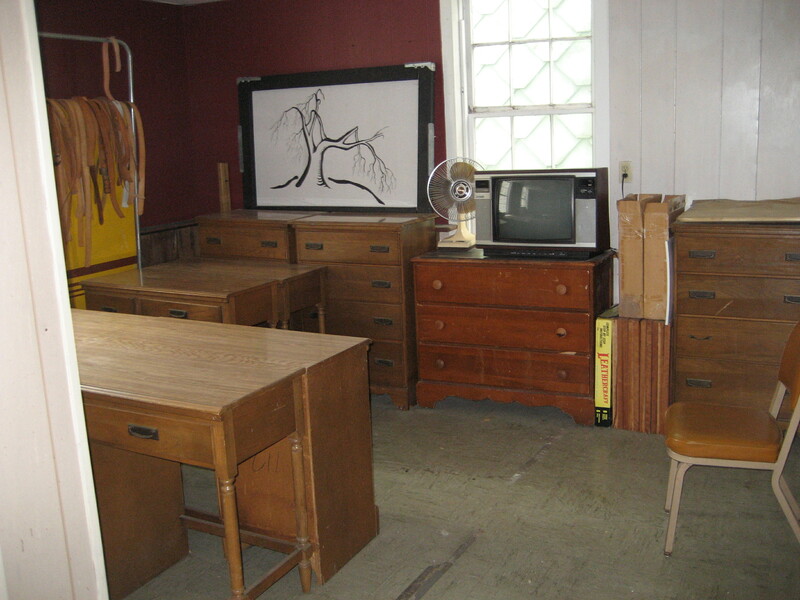 We also has a bunch of dressers and tables from one of the off campus housing units for Clarion U.